LIFE IS A CRUISE is the spirit of a private yacht summer cruise on the Mediterranean. Presented in a two-part series, LIFE IS A CRUISE focuses first on the face, glowing with sun-drenched colors. Episode two will bring out the eyes with the colors of a beautiful summer’s night. 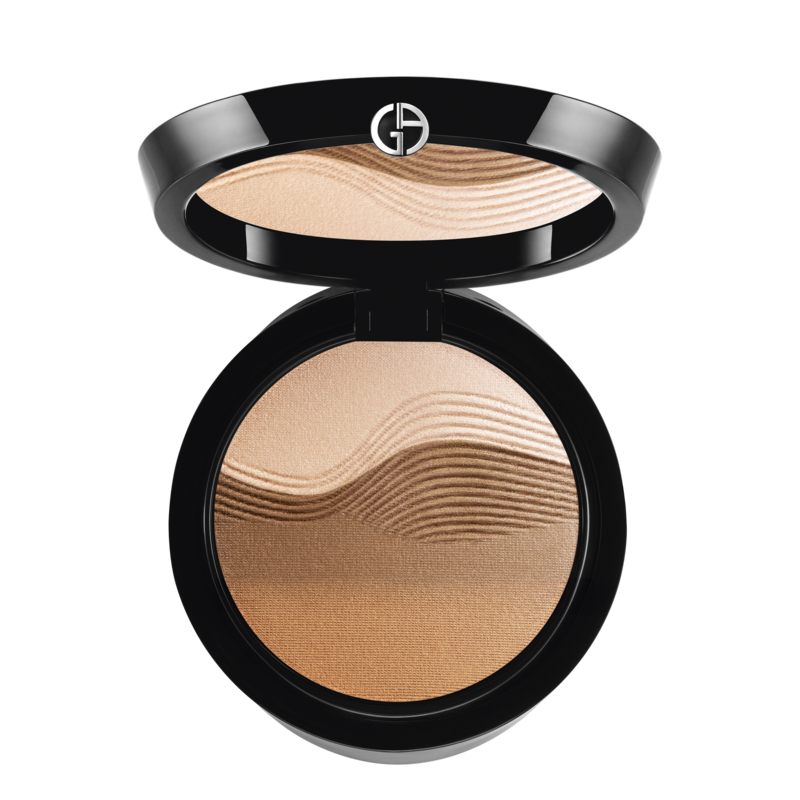 For its new LIFE IS A CRUISE FACE collection, Giorgio Armani has once again drawn inspiration from the light of the Mediterranean sun to warm and enhance the skin. This collection features summer makeup that can be worn all year long to bring a natural looking glow to any skin tone, for that “just back from holiday” look. With a three-product routine suited for all skin tones, the skin is heightened with warm, natural colors like those of the sun. – MAESTRO UV SKIN DEFENSE PRIMER SFP50 preserves and protects the skin against UV rays. – MAESTRO LIQUID SUMMER BRONZER, with its legendary ultra-light formula, recreates the perfect sun-kissed glow. – The new SUNRISE PALETTE flatters all skin tones with warm, natural colors. MAESTRO UV SKIN DEFENSE PRIMER SPF 50 protects the skin at all times. This liquid primer combines high UV protection with an antioxidant action, enveloping the skin in a protective veil. Its lightweight texture appears to vanish without a trace and is undetectable. MAESTRO LIQUID SUMMER BRONZER creates an amazingly natural-looking summer glow with flawless facial contours. Infused with micro-spheres, MAESTRO LIQUID SUMMER BRONZER boasts a silky weightless texture, as soft and airy as a powder. It lets the skin breathe and gives it a sheer glow. Three warm and luminous shades, N°090, N°100 and°110, adapt to all skin tones. Apply MAESTRO LIQUID SUMMER BRONZER over the entire face or in touches from the cheeks to the temples for a natural summer glow. A single drop is enough to revive the complexion. The SUNRISE PALETTE bronzing powder flatters every skin tones with a warm, radiant tan, for a natural Mediterranean glow. More than just a powder, the limited-edition SUNRISE PALETTE boasts a creamy texture that glides on the skin with the stunning coverage provided by pure pigments. A simple brushstroke dresses the complexion with the warm, beautiful colors of a day out on a yacht. The SUNRISE PALETTE is embossed with a wave just like light reflecting on the water. To be used alone or in a three-step routine, during the summer or all year round, LIFE IS A CRUISE FACE provides skin with a glowy summer tan and has a flawless hold. Giorgio Armani Life Is a Cruise Collection will be available exclusively at Brown Thomas Dublin, Cork & Limerick or www.brownthomas.com from April 2017.